The Gift of Love gives words of inspiration to the newly married and reveals the special quality of wedded love, which can be the answer to many marital problems. But this book is really for everyone who wants to expand their understanding of love. 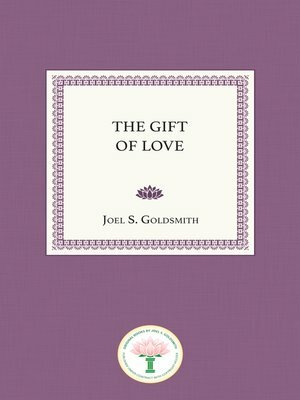 As Goldsmith says, "Our first and foremost task is to fill our consciousness with love, forgiveness, gratitude, praise, loyalty, and devotion, not only to God, but to our neighbor as well. We must heal and cleanse ourselves until we become transparencies through which God's love reaches the earth."